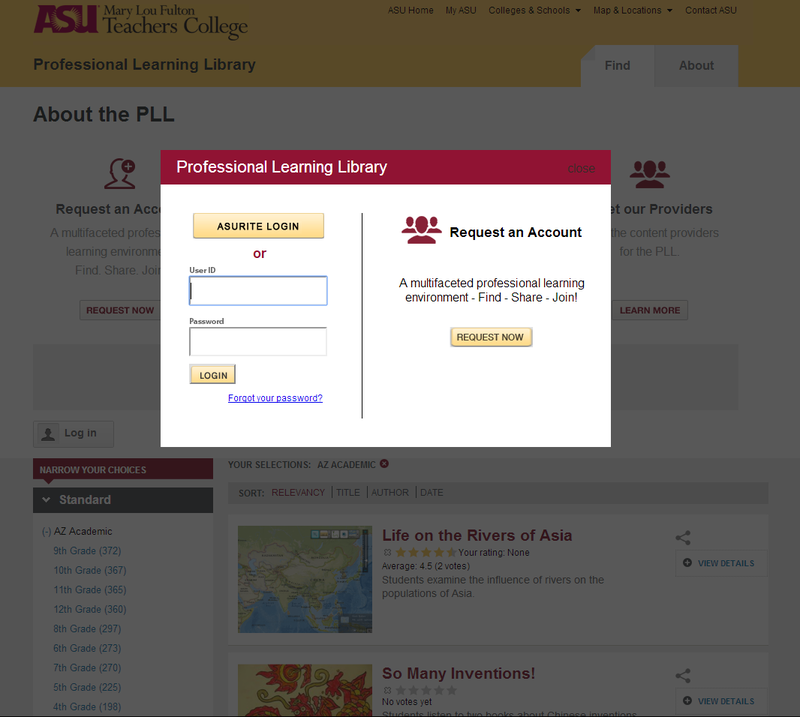 The Professional Learning Library (PLL) is an online repository for Arizona teachers, where they may upload, view, and download educational resources, take professional development courses, and more. 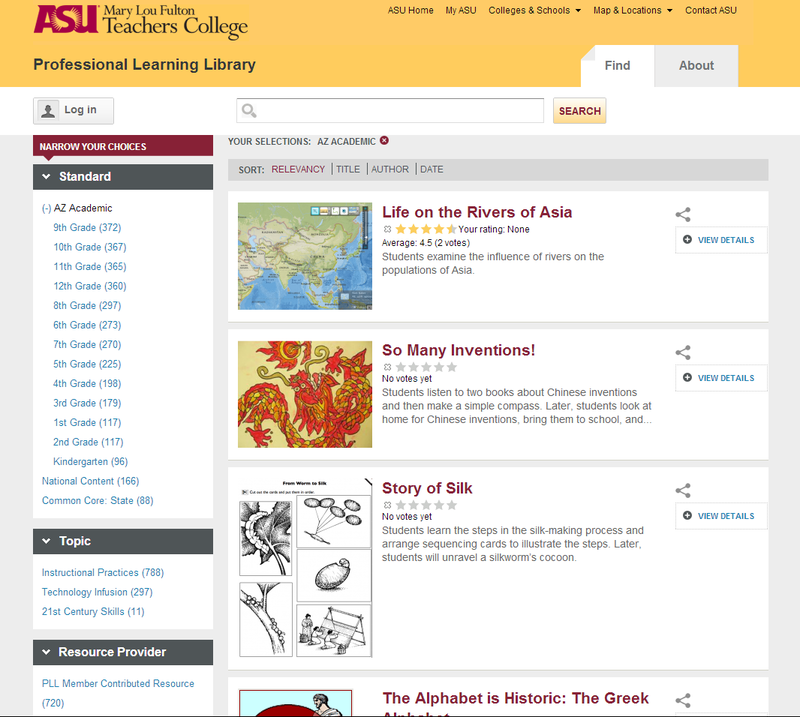 It is an ongoing development at Arizona State University and was initially built in Drupal 5; it has since moved to Drupal 6, and will soon be rebuilt in Drupal 7. 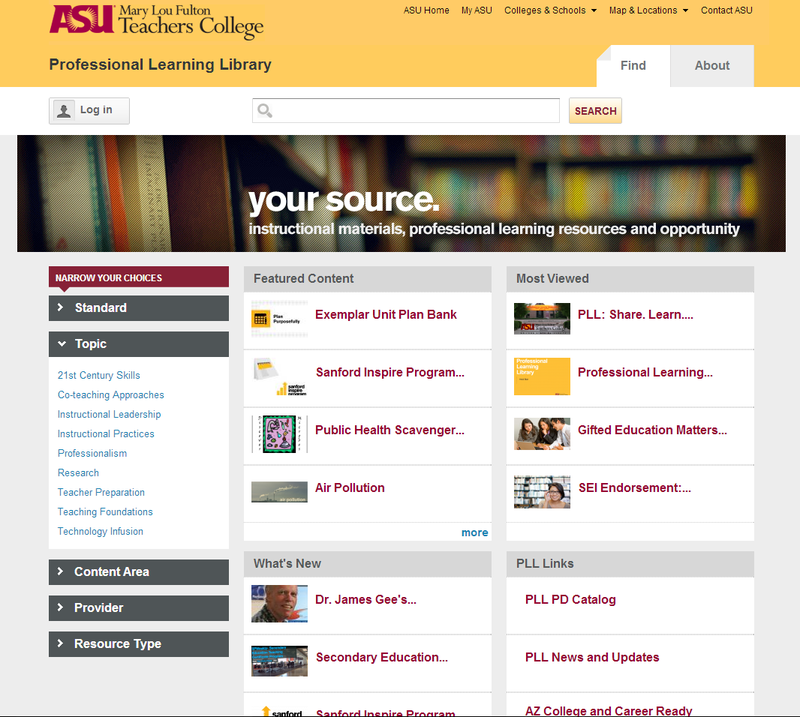 Its current version features integration with Solr for learning resource search / organization and Moodle for online education. Additionally, it uses CAS authentication as a single sign on option for both Drupal and Moodle. I have been involved in the development and maintenance of this site, and its migration through various iterations, since 2011. 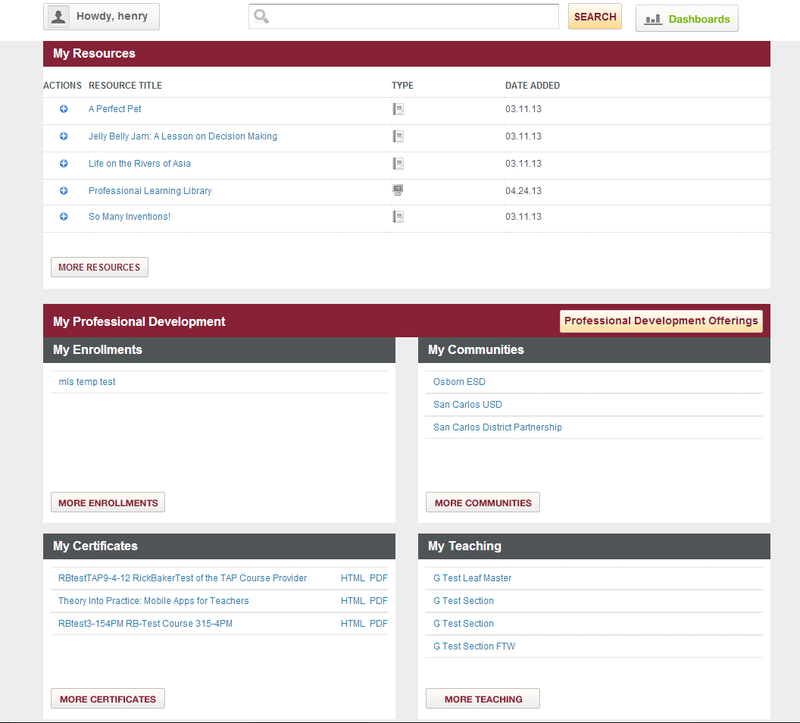 Specific items I have developed include the current CAS integration, the current site theme, and various administrative / backend resources.